Office management involves the ability to handle various tasks and responsibilities of that capacity. A good Office Manager is the one who ensures that all he deals with all the duties of the office responsibly. 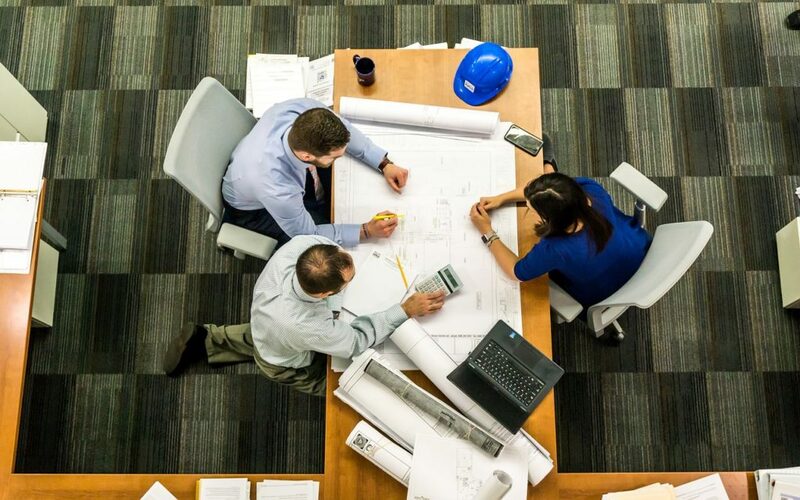 The core duty of an Office manager is to control and improve the logistics within the office to ensure support for all employees of the enterprise. An Office Manager also controls checkbook IRA for every employee. As an Office Manager, you take up various tasks such as being the office shopper, overseer, financial advisor and event scheduler. An office manager cannot manage all the roles that are involved in office management unless he has employed sophisticated office management software and tools. This factor makes office management enjoyable and easy to handle. The following are some of the most useful office management tools that can help you to improve your management skills in an office. This tool is popularly known for software businesses. It is a management strategy that allows enterprises to adapt to changes quickly and also reduce unhealthy lagging. Jeff Sutherland established this style in 1993, and it has been used by various organizations such as government agencies and car companies to achieve their goals. The tool enables companies to attain their planned programs within the set timelines. Scrum involves the following steps. Hurries that are aimed at reaching the project’s milestone. This process takes a maximum of two weeks. Monitoring of all the elements of the projects by use of daily stand-ups. A scrum board. This function is meant to trace the progress of every department regarding completion of the project. Continuous advancement of the project objectives to ensure that the customer’s needs and desires are met. A business will have to serve customers regardless of it being a B2C or B2B. It may sound impossible to keep track of all the business customers, but Insightly gives you the ability to manage all of them efficiently. The tool enables you to organize all of your clients and also allows you to manage projects. Additionally, Insightly can detect every social media account that is associated with your customers’ email addresses. The application brings all your clients’ information in one place and the long run, you get some easy tasks in the office. Everyone finds it easy to organize for their traveling programs. It becomes complex when as an Office Manager, the company requires you to plan for a travel program of a section of employees. It is a different, arduous duty. Fortunately, Hipmunk makes everything easy for you in this case. The tool advertises thousands of hotels and flight while comparing them from various sources. The App allows to compare the flight and also directs you to the location of the hotel that you booked. The style also allows you to purchase a package. This puts your trip into a one-easy transaction. Ordering products needed for office management is probably one of the hardest and tiresome exercises in office management. Some of the products that are always used in an office include notepads, printer inks, and company jumpsuits. Amazon Business is the best helper for you when it comes to ordering office products. Amazon offers you free two-day shipping and allows you to open numerous accounts that can be used by other employees to purchase goods. You may not be tasked with the responsibility of managing your company’s social media as an Office Manager, but it is imperative to keep an eye on the things that are posted on the accounts. In such an instance, HootSuite can become all that you need. The App enables you to schedule various posts of more than 35 networks. It can also allow you to monitor how the company’s posts are doing and check what people post about the company. All the tools that are discussed in this article are essential to tackle various roles in office management. A combination of them can make the exercise a real breeze. Make a wise choice of the ones that best fit for the tasks you are responsible for as an Office Manager in your particular company. Driving through a neighborhood, you likely notice all of the businesses, and you may even stop in at a few. However, that doesn’t mean you necessarily recognize how businesses affect local economies. Examining this issue is important because it could help you to make your own neighborhood a better place to live one day. One of the biggest ways that businesses affect local economies is by creating jobs. Bringing more businesses into an area could help the community to entirely reinvent itself. For example, if the neighborhood is experiencing issues with poverty, that could be due to a lack of employment for the residents. Once the businesses open up, residents can start to procure jobs at the businesses. When businesses place an emphasis on hiring employees from the neighborhoods in which they open, they contribute even more to this element. The value of a house does have to do with its layout and space, but it also has to do with the community. When prospective buyers drive through a neighborhood and see that it doesn’t have any businesses, they may be unlikely to make an offer on houses there. People want to live near the shops that they need. Therefore, new businesses can help the prices of homes to go up. When the price of houses increases, so does the general wealth of the individuals who live in the neighborhood. The rise of businesses in communities can help a community see a higher average level of income among its residents. New businesses in the area can also actually help current businesses. Some communities have spotty areas of businesses. Building up the area around those companies can help attract more attention to them. Since people are shopping at the other stores, they might finally notice or feel inclined to visit the ones that have been there for years or decades. Some business owners might have trepidation about new entities coming into the community, but they can actually end up helping them up. It might seem striking that businesses in an area could have to do with the schools, but the connection is present. Many depressed areas of the country also face problems with the schools. The academics are poor, and the schools may have major troubles with violence or drugs. Part of the reason could be that the students are stuck in the cycle of poverty. They may have to miss school in order to work or to take care of siblings; they may not have the money to attend college. When new jobs open up in the area, they can start to take advantage of them, and they may see a brighter future ahead. These youngsters may then go on to attend college, procure high paying jobs themselves, return to their communities and transmute them into the best places to live in New Jersey. When a community gets a new business, it might become an attractive for tourists. People who are just passing through the area or on their way to vacation might stop at the business. Depending upon where the community is located, the new businesses might help it to become a major destination for tourism. For example, the neighborhood might lie at the border of one of the states, so it could turn from an area filled with poverty to one that acts as a welcome center for visitors. Tourism in a community can definitely help to stimulate the economy because people tend to spend significant amounts of money when they are on vacation. Most people know that businesses have some sort of connection to the local economy, but they don’t think about this connection that much. Instead, they focus on how the business can serve them in the immediate future. Looking at this sole view of business is not necessarily helpful. When new businesses are proposed in the community, consider the ways that they could better the neighborhood. You might be asked to vote for the new business or to propose ways to make the businesses in the community even better. Recognize how these companies can help to change so many elements of the place where you live. Effective communication is essential to any good relationship. Business relationships are no exception. It is just as important for you to have effective B2B communications as it is to have efficient Business-to-Customer communications. By elevating the level of how you communicate with other companies from being only good and you will see many more . Below are a few components of communication that possibly could help your strategy become great. Do you communicate with other companies via the phone mostly and use written or typed material sparingly? Or is most your communication handled non-verbally with emails or on your website or blog? Whether you rely heavily on writing or only do so from time to time, it is important that your spelling and grammar be correct. You also want what you write to be clear, meaningful, compelling, and professional from the opening sentence. Know what it is that you are trying to say and keep on with that message always. You want to properly integrate a consistent message with every single one of the outlets you utilize for communication. These channels would include social networks, websites, emails and so forth. You do not have to use the same exact words in the messages, but the voice used across the different channels, and the point you are making should be identical. Also, establish a regular frequency for communicating with other businesses. How often you reach out to a company is of particular importance if at any time you made promises as to the regularity of communication between the organizations. For example, if you told another business of bi-monthly communications, and instead, you reach out quarterly, then it could send the wrong message which may translate that you do not deliver on your promises. Your communication should have a sense of personality which would allow other companies to connect with your business. Allow your organization to be colorful and lively in communication. You do not want to be another static company that fails to build trust because they cannot hear your business’ unique voice in your communications. In business, there are four distinct company characteristics or business personalities. The Myers-Briggs Type Indicator is used in other areas of life to define and divide people into four basic groups of traits. Which type best describes your business? Group situations and external relationships drive the relational company characteristic. An objective-focused personality, this”Type A” personality is hardworking and straightforward. A highly analytical business personality, an introvert would give something much thought before taking any action, likes facts and data, and is rational. This extroverted personality type is competitive, a natural at sales, and due to an enthusiastic nature and outgoingness, would make for great training consultants or business trainers. You do not want to come across as boring, no matter what your business personality, when communicating with other companies. You want to provide companies with a potent media mixture. You can use webcasts, eFliers, blogs, Twitter tweets, videos, email newsletters, Facebook posts, and other mediums in an alternating or rotating way to keep your delivery fresh. Small business owners cannot afford to believe in the corporate lore of hiring the perfect salesperson who will become a miracle worker and spell instant success for the company. 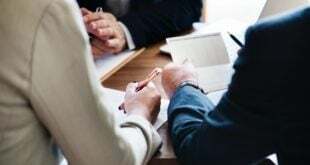 This is something that major corporations may try when they steal key sales executives from each other, but those are large-scale enterprises that can take risks and manage significant turnover rates. Owners of smaller companies cannot take such risks and thus they should establish a training program that will allow their newly hired sales staff to quickly achieve success. Developing the right sales culture is even more crucial for startup businesses since this will set the course for their initial growth phase. Scheduling Monday mornings as the first day of formal training is an antique practice that does not conform to the modern world of sales. The reaction of candidates when they learn that training starts on Saturday at 10:00 a.m. can let managers know a little about the potential dedication and loyalty that their new hires may exhibit in the future. Saturday training can be planned as a day to wear casual attire and enjoy an informal lunch; the idea is to make the new sales team members feel very comfortable. 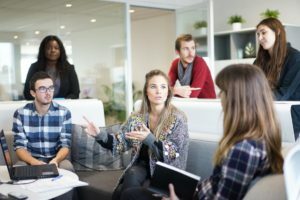 New hires who are members of the Millennial Generation may not appreciate the traditional training sessions delivered by a corporate trainer in a conference room. Younger salespeople are bound to be more receptive to e-learning, a method that they have likely used in high school and college. With the recent technological push, many training tools, including quite a few medical sales training courses, these days feature e-learning components as well as classroom sessions, and they tend to be very effective. The “always be closing” sales mantra is a lot more effective if actual incentives are attached. In other words, sales trainees learn better when there is a carrot at the end of the stick. 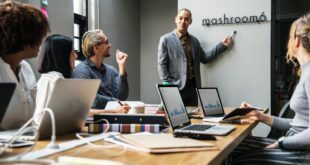 If the training session features mock sales situations, and it should, the pretend buyer should ideally be the owner of the company, and she should determine which of the trainees excelled in the simulation. The best pitch should get a reward such as lunch with the manager or a gift certificate that can be redeemed at a gourmet foods market. Case studies never go out of style; to this effect, stories about incredibly successful sales should be presented during sales training sessions. The case studies do not necessarily have to be in the same industry that the trainees will be operating in; however, it is very important to make sure that the story is engaging and that is has human interest elements. Younger salespeople tend to be very data-driven. 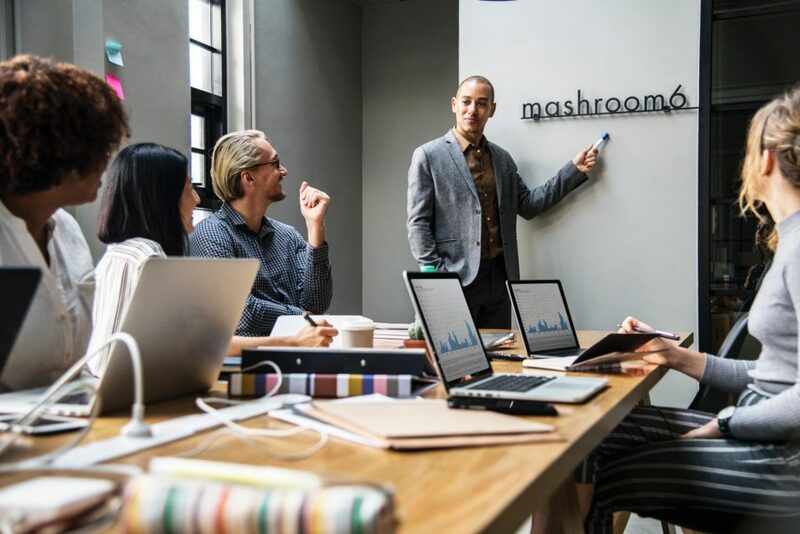 Owners of small companies that utilize large data sets and analytics as part of their operations should share them with their new sales staff as soon as they start their training session. If the marketing department is using Big Data for branding and promotion, a marketing rep should explain to the sales trainees how the data sets and analytics are being utilized. Whenever possible, sales and marketing teams should work together and share opinions about what they find within Big Data.